It is often said that nothing is truly finished and it’s a saying the games industry has taken to heart in recent times. Long gone are the days of developing and publishing a game without the need to tweak, adjust and patch it after launch, with new titles requiring constant operation and updates to keep them at the forefront of consumer thought. While PocketGamer.biz has long been investigating the Making Of notable games soon after their launch, we’re out to keep up with the trend by revisiting older games to see how they’re doing. In this entry, we caught up with Dragon Ball Z Dokkan Battle producer Kensho Monden following the fighting games third anniversary. The popular fighting title officially hit 200 million downloads in July 2017 after two years on the iOS App Store and Google Play, and is still going strong today. PocketGamer.Biz: With Dragon Ball Dokkan Battle hitting the three-year milestone, how do you reflect on its performance - from launch to the mature title it is now? 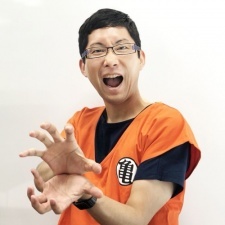 Kensho Monden: I'm not someone who's been involved in the project since its release, but I've worked hard as a producer to achieve our pillars of "valuing the appeal of the original Dragon ball world as much as possible while prioritising fun for our global player base". Having made it all the way to the third anniversary, I feel this spirit still resonates strongly within our ranks and we intend to keep on with this approach. How big is the team currently handling live ops on Dragon Ball Z Dokkan Battle? We're working with over 100 staff in total, including game production staff like planners and designers, as well as managers and producers. Unfortunately, we haven't had any Saiyans apply to work with us yet so we're all humans here. How important do you consider customer support and updates to be? What has been your approach to this? We've put a special focus on our updates in order to provide a satisfying play environment for our users. We don't subscribe to the idea that a title is finished as soon as it's out: instead, we work constantly to make sure the experience stays fresh and fun for our users, doing things like revising the UI/UX, adding new modes, and more. What steps have you taken to ensure that Dragon Ball Z Dokkan Battle maintains a sizeable and active player base all this time after its launch? Rather than having everything planned out at launch, we've continued to polish the game, looking at our users' responses to content, KPIs, etcetera, with some aspects pre-planned. We've taken this approach to allow us to, from a development and operations standpoint, maximise our strengths while dealing effectively with our weaker points. Rather than having everything planned out at launch, we've continued to polish the game, looking at our users' responses to content, KPIs, etcetera. I think this provides us with a firm grounding to keep as many people engaged as possible. How do you approach in-game events and how does it differ between the regular events and the massive one-off events you do? This title was distributed in Japan first, so we generally keep Japan in mind when planning events. However, we like to keep our overseas player base guessing in a positive sense by debuting events and characters overseas first, etcetera. In terms of one-off events, we try to do things that our users can get really passionate about, such as setting up competitions between Japan and overseas for the highest total number of event completions, to set them apart from our regular events. 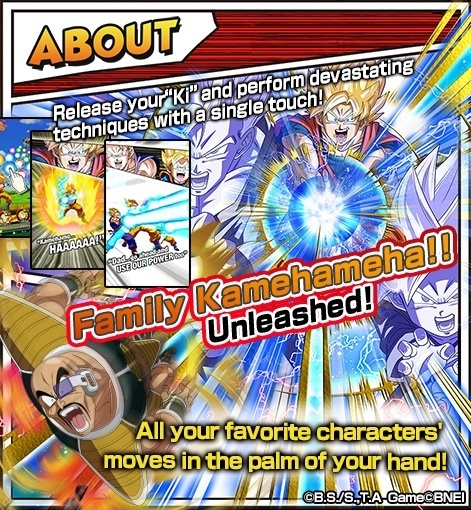 To what do you attribute Dragon Ball Z Dokkan Battle’s consistently impressive grossing performance, and how do you sustain it? We listen carefully to our users' opinions and endeavour to figure out how to best respond to their expectations. Our entire team is always trying our best to think how we might best be able to express the appeal of Dragon Ball in a game. Recently we've been working on how to replicate special moves from the "Dragon Ball Super" anime in a satisfying way, agonising over each individual move animation with extensive iteration. Any KPIs such as downloads, DAU or retention you’re willing to share? I'm humbled to say that we've had over 200 million people download and enjoy Dokkan Battle. What lessons have you learned/are you still learning from Dragon Ball Z Dokkan Battle? Is there anything about the game that, in hindsight, you'd now handle differently? I love the globally respected classic that is Dragon Ball and have learned to really just give my work on the game all I've got. I myself was obsessed with Dragon Ball as a kid and there was a time when I used to play around really feeling like a Super Saiyan. That pure fanboy spirit is something I believe I share with our users and something I take into my work on the game. 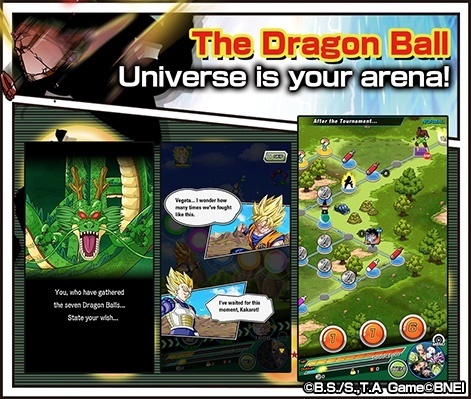 Finally, has your experience with Dragon Ball Z Dokkan Battle’s informed where you are/what you're working on now? Like with Dragon Ball Legends for example? I experienced everyone's passion for the game. How they blaze through even the most difficult stages that we'd put all that thought into, has inspired me to rise to the challenge and continuously work to improve, like the characters in Dragon Ball.